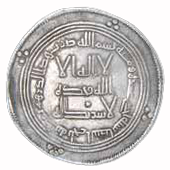 The project Measuring the Medieval Islamic Economy is devoted to collecting quantifiable data related to the economic performance of Medieval Islamic societies in the Middle East and North Africa, approximately between 650-1517 AD. Data compilation comprises aggregation of specific features and assemblages in areas judged as diagnostic for standard of living, notably wages and prices. Two additional categories of data, the first money and coinage, the second weights and measures, provide the auxiliary tools and instruments necessary for establishing the real and comparative value of prices and wages needed for estimating purchasing power. The Excel sheets that were used to build the database are provided under the data entry forms on each data page. They can be found by first clicking on a data category (e.g. Commodities) and then on a region (e.g. Egypt). These sheets contain all the raw data found in the database. The purpose of the database is to allow statistical manipulation for the study of standard of living and analyze levels of economic performance of medieval Islamic societies. It will facilitate crosschecking the Islamic data with similar databases of other pre-modern economies, and establish the wide spectrum of medieval Islamic economic activities on comparative basis. Lastly, it will help bring research on the Medieval Islamic economy in line with scholarly work undertaken for other pre-modern economies. Professor Maya Shatzmiller specializes in the social and economic history of the medieval Islamic world. 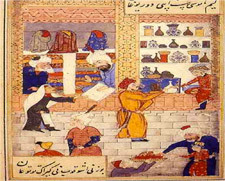 Previous monographs include Labour in the Medieval Islamic World. (E. J. Brill, Leiden, 1994), Her Day in Court: Women’s Property Rights and Islamic Law in Fifteenth Century Granada. (Harvard University Press, Cambridge, Mass., 2007). She is currently writing a new economic history of the medieval Islamic lands between 700 and 1500 AD.